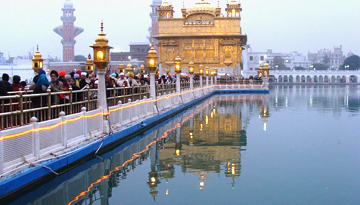 Amritsar is a holy city in the state of Punjab, India, offering a blend of spiritual and traditional values. Visitors can experience Amritsar's ancient serenity and relaxing charm. This culturally rich city is the most important seat of Sikh history and derives its name from Amrit Sarovar, the holy tank that surrounds the splendid Golden Temple its prized possession, the Harmadir Sahib. Amritsar is also home to one of the most poignant memorials of free India, Jallianwala Bagh. Amritsar is a great destination for tourists and pilgrims alike. There are many places that date back to the pre-independence days and are of great significance. It also has beautiful temples and religious places. 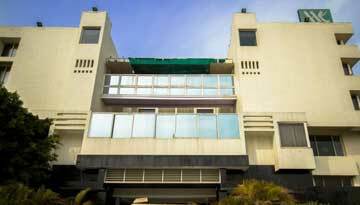 MK Hotel Amritsar provides modern rooms close to Jallianwala Bagh with 3 star accommodation. 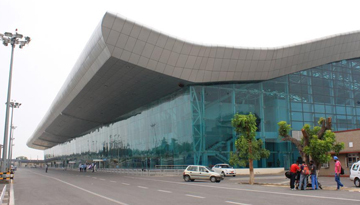 Fly from London Gatwick - Amritsar & Stay for 2 nights with 3 star accommodation. Include Bed & Breakfast.